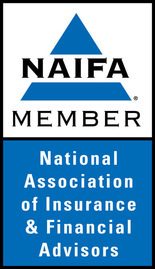 Because we work for you, not the insurance companies, you do not have to pay us for our services. As independent agents, we believe in putting your needs first, ensuring that your best interest is held as our top priority. Whether you would like help with your Medicare plans or just a qualified broker to help understand your plan, we make it our mission to save you money and feel confident in your policy choices. Working with you, hand-in-hand, you can trust that Laurel Insurance Partners puts your needs first. Assisting you with everything you need, from start to finish, our goal is to help you find the perfect policy for a successful and stress-free future. With all of the recent changes in the healthcare industry, it is hard to keep track of what the cost of care really is. Our hope is to not only help you understand your policy but the prices and costs too. If you have any questions regarding your Medicare policy prices feel free to reach out to us today; we are more than happy to work with you and provide you direction to ensure your coverage is right for you.